Richard put up our Christmas tree the other day. It is a very life-like replica of a Noble Fir. Plug in Mistletoe scent, and it’s practically the real deal. I grew up in Hawaii, and by the time the fresh trees reached the islands, the bottom quarter of the trees were bare. I’m accustomed to improvising. It would have been easy to not put up a tree this year. Every now and then, we think about it. But eventually we do it because, at least for me, I do not want to set a precedent. I suspect it would be the beginning of the end of something very special and I don’t want to go there. So as I was making bon-bons for Christmas gifts yesterday, I started decorating our tree. In my obsessive compulsive pattern, I started with the regular red, blue and white ornaments. Easy. Mundane. Then I started on our special ornaments, the ones we’ve accumulated over our 29 years together. My magic unicorn . . .
Marco’s first Christmas, and the many stages of a childhood that was a tad vicarious for me . . .
Ornaments that declared us . . .
And ornaments that declared who we could be . . . Souvenir ornaments of places we visited as a family . . .
of where I grew up and where I live now. Then I started to hang ornaments that my Mom created. So many clowns and crafty little designs that took hours of her love and care. And I stopped in amazement. Oh my. I have been so loved. All these times with Richard and Marco, with my Mom, my Dad and my brother and his family. All these places. I have been so blessed. 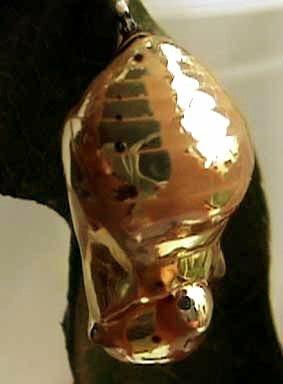 The tree and ornaments were encapsulated in the chrysalis of Christmas. I let the butterfly emerge. This entry was posted in Day by day and tagged Christmas, Family, Spiritual, Writing by Berna. Bookmark the permalink. New year round the corner. its like the phoenix rising from the ashes. I can feel new feathers emerging . . . a renewed heartbeat! You inspire! Brought a huge smile…I have the same magical unicorn ornament and Ouray is my favorite place to be! We took a four wheel drive road this past summer to get there via the woods. Beautiful! Hope you holiday was filled with all the right ingredients! A fellow sojourner! Now you make me smile! My husband has run the Hardrock 100 Endurance Run a few times, so we spent a lot of wonderful moments in that area. Such a drama of earth!